Limerick’s Lost Buildings: Mont de Piété. In 1829 Joseph Barrington (1764-1846) and family funded Barrington’s Hospital on George’s Quay, they would spend over £10,000 on the construction of this building. 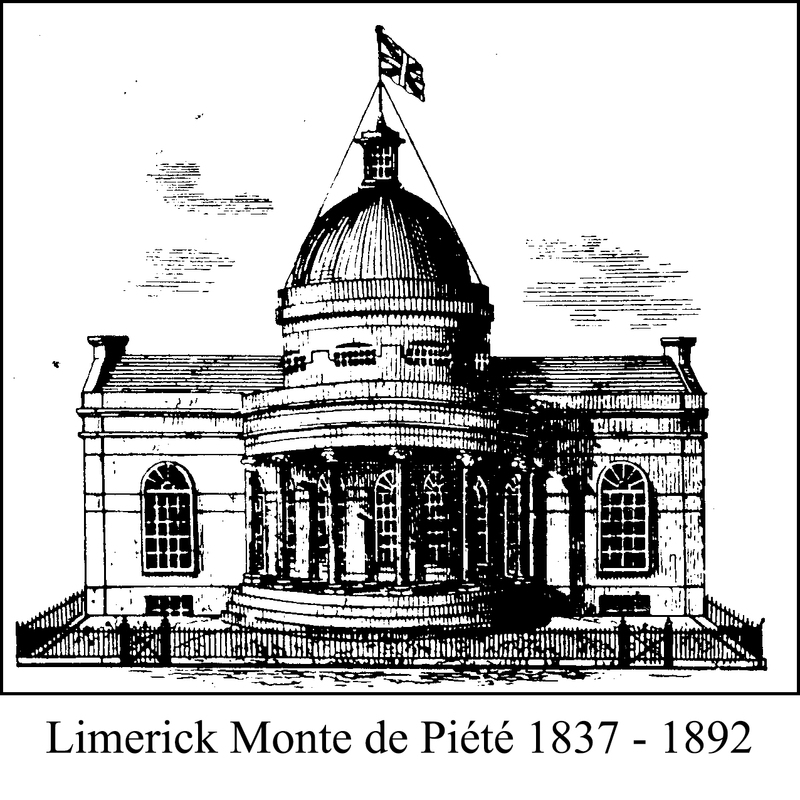 It was Joseph’s son Matthew Barrington, a solicitor, who was the instigator of Limerick’s Mont de Piété or Charitable pawn shop, the first of eight such establishments opened in Ireland in 13 March 1837. The Mont de Piété was also recorded as Monte de Piété but for consistency in this post we will be using the common spelling. 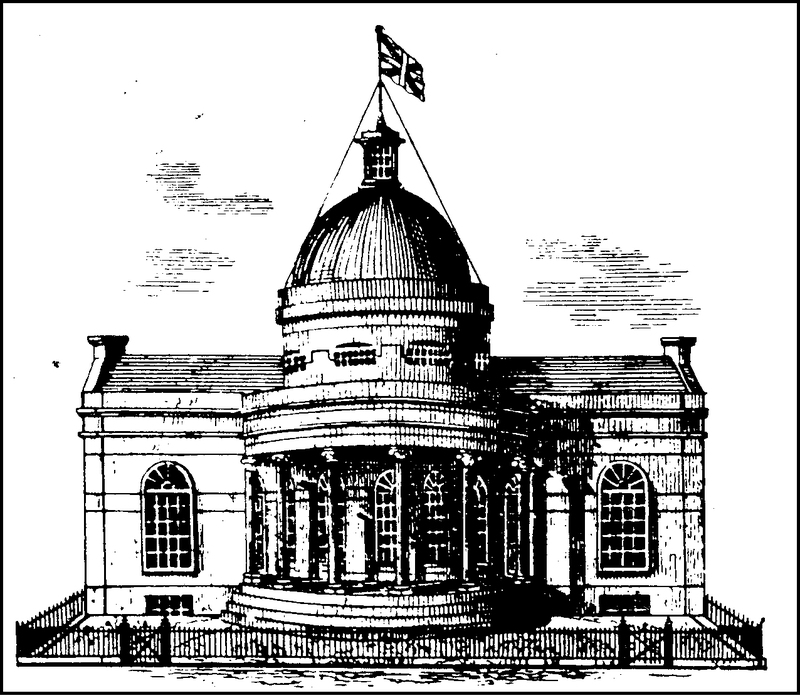 The purpose of this building was to act as a pawn shop with reasonable rates for the poor in the area. In 1837 there were eleven other pawnshops in Limerick City all with varying rates of interest, there was one shop with the extortionist interest rates that £100 lent in shillings and received weekly, would at compound interest, in 1 year amount to £45,690-7 owed. Matthew Barrington wanted to stop this practice of extortion. The funds raised by the Mont de Piété were used to support the hospital. 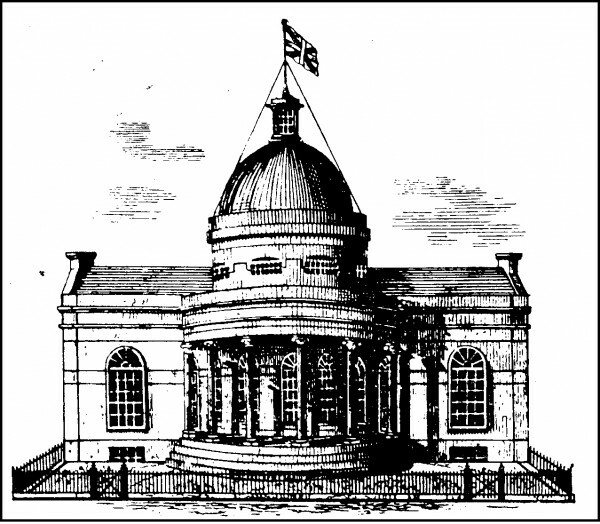 Just after the construction of the Mont de Piete’s elaborate building in May 1838 the chairman of the board Archibald Douglas was brought in front of a Select Committee on Pawn Brokers in Ireland to explain the differences between a Mont de Piété and a regular pawn shop. In 1840 the building was mentioned in the Triennial Trade Directory and had in that year made a profit on £1,357. Though following this initial boost the Mont de Piété made a steady loss year on year until 1845 when the pawn shop was closed and building was converted into a convalescent hospital for the patient of the Fever Hospital (St. John’s), even as a recovery wing the building was not a success. In 1847 it was used as a soup kitchen by the Society of Friends to aid the poor in Limerick during the height of the famine. From 1847 it was used as a police barracks at an annual lease rate of £26 until it was abandoned and was demolished in 1892. The building was an impressive domed structure with large columns facing the Abbey River, remnants of the building were still viewable until 2002 when the recent development on the site where carried out. An archaeological dig took place at the time out and the walls were discovered much to the excitement of the archaeologists. Though this attempt at aiding the poor out of debt and destitution failed other pawn shops flourished and there were no fewer than 18 other shops in the city by 1877, this shows that that the Mont de Piété were too generous with their loans and perhaps too hopeful of their ideals. Below is a token which would have been used in exchange for goods pawned. 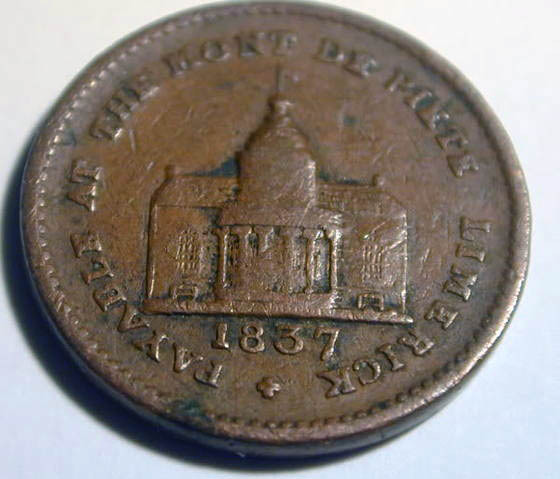 The token would have been accepted by certain shops in an effort to insure that those who used the Mont de Piété would use the money gained from pawning their belongings for wholesome activities. Thank you Billy, I have fixed this error. Interesting bit of social history.